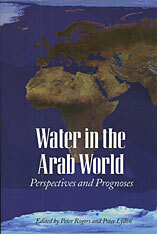 This set of eleven essays addresses the tightening water resource problems of the Arab region’s twenty countries. The authors discuss themes of water conflict and provide detailed looks at four sub-areas: the Maghreb, the Nile countries, the Arabian Peninsula, and the Mashrek. This century has seen a technological drive to enlarge traditional surface and groundwater supplies and to expand irrigated farming for rapidly growing and progressively more prosperous populations. But now the region is facing absolute limits on its fresh water. Water in the Arab World focuses on today’s need to move toward rationalized new patterns of using water within the national economies, a transition often described as moving from supply to demand management. The change calls for intensified national legislative and planning efforts concerning water, with serious consideration of desalination and conservation, as well as of pricing and market approaches to the allocation of a very constrained supply.